Our guide to Miami will help you find the best green spots in Miami Florida. Miami has a true tropical climate, with hot & humid summers and warm & mostly dry winters. Miami was ranked as "America's Cleanest City" according to Forbes Magazine for its year-round good air quality, vast green spaces, clean drinking water, clean streets and city-wide recycling programs. Sultry, seductive Miami, Florida entertains many identities: snowbird refuge, retiree haven, celebrity playground, immigrant stop-off and tourist mecca. All undeniably accurate, they're telling descriptors of everything this dazzling city embraces. They're also indicative of the melting-pot culture that has come to define South Florida, an area originally dismissed by developers. Food and music, in fact, showcase Miami's zest for all things sensual. Cool jazz, spirited salsa rhythms, and a cuisine that unites fresh seafood, tropical fruits and tongue-tingling flavors provide evidence of a people and a city mesmerized by – and dedicated to – the spices of life. 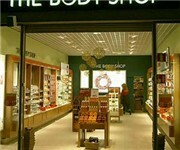 Experience its many incarnations in the most sizzling Miami neighborhoods: Little Havana, SoBe or the Design District. Each one boasts top-notch clubs and superlative restaurants, energized by a style-conscious clientele, so you will never run out of things to do in Miami. There are tons of great green spots in the city of Miami, our city guide will help you find the best green spots. You may have a hard time deciding what to do in Miami, but we make your decision easy. 10676 Fontainebleau Blvd, (305) 554-4448 - El Mana Health Food is a green restaurant located in Miami FL. 13612 SW 88th St, (305) 408-6557 - Chipotle Mexican Grill is a green restaurant located in Miami FL. 1451 S Miami Ave, (305) 808-7888 - Pieducks is a green restaurant located in Miami FL. 1602 NE Miami Gardens Dr, (305) 947-4744 - Julio's Natural Foods Emporium is a green restaurant located in Miami FL. 6801 Collins Ave, (305) 514-7000 - Canyon Ranch Grill is a green restaurant located in Miami FL. 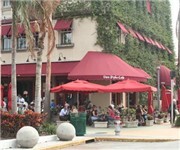 7010 Biscayne Blvd, (305) 751-8756 - Metro Organic Bistro is a green restaurant located in Miami FL. 7400 SW 57th Ct, (305) 661-7388 - Power Pizza is a green restaurant located in Miami FL. 5138 Biscayne Blvd, (305) 759-1696 - The Honey Tree is a green food / grocery store located in Miami FL. 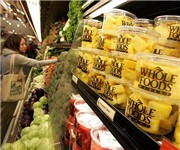 NE Miami Gardens Dr, (305) 947-4744 - Julio's Natural Foods is a green food / grocery store located in Miami FL. 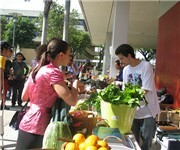 11200 SW 8th St - Organic Farmer's Market at FIU is a green farmers market located in Miami FL. 47 NW 79th St, (305) 759-4400 - Caribbean Farmers Market is a green farmers market located in Miami FL. 7145 Abbott Ave, (305) 866-1677 - G & P Farmers Market is a green farmers market located in Miami FL. 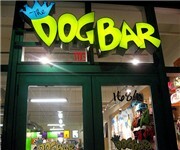 115 SW 107th Ave, (305) 264-4557 - Jugos Naturales is a green juice / smoothy store located in Miami FL. 1346 Washington Ave, (305) 531-6675 - Juice and Java is a green juice / smoothy store located in Miami FL. 5750 Bird Rd, (305) 663-1300 - Beehive is a green juice / smoothy store located in Miami FL. There are plenty more green spots in Miami. See all green spots in Miami Florida.